Are You Using True Military Specific Aircraft Cables? 14 Jan Are You Using True Military Specific Aircraft Cables? Military cable assemblies are required to withstand the harshest of environments, and constant use in variable climates. While they also require performing the same functions as any other cable assembly of carrying power and signals from one place to another, they need to be much stronger and reliable. Because of this, these cables are subject to exacting standards that are important for them to meet. Failure can at no cost be an option for them! Whether it is extreme temperatures, heavy shocks, utmost moisture, grave vibration, or violent winds, military cables need to keep working in every situation. When looking through military cable assembly catalogs or websites, you may have come across certain phrases used to describe the products; for example, made in accordance with, or meeting the dimensional and strength requirements of military aircraft cable specifications. Note that these phrases only mean that the cables available are almost of the same quality of a military cable assembly, but aren’t exactly specifically what they need to be! These phrases can be misleading, only to compel you to make a purchase, only to find out later that the products were only of commercial grade aircraft cables. Therefore, you need to be very careful while choosing from the list of available aircraft cable assembly manufacturers in India. You need to choose one like Miracle Aerospace, whose products have been certified with numerous standards boards, and military and supplier certifications including AS9100 and MIL-SPEC. These certifications clearly show that the cable assemblies available here are truly specific to the military requirements, and are in no case bound to fail. So, what are the things that make a cable assembly military specific? Every military cable assembly should be built by a qualified manufacturer to meet particular performance requirements. It needs to pass several levels of testing for strength and endurance to achieve the military specification title. Durability – A durable cable assembly can withstand continual usage under all kinds of stresses and environmental conditions, even the most challenging ones. Flexibility – A flexible cable assembly ensures that it is sturdy enough to withstand frequent twisting, stretching, and contracting with heavy usage. Resistance – A military cable assembly must have extreme resistance to a lot of elements like fire, corrosion, chemicals, and oils. It must not be able to produce smoke, must not be toxic, must not catch fire, and must not corrode under any circumstances. These are only the most important aspects of a military specific cable assembly. Proficient aircraft cable assembly manufacturers in India will know every other detail that needs to be incorporated into the cables for making them appropriate for usage in military applications. Therefore, you need to work with a manufacturer who understands the importance of following specifications and requirements carefully. 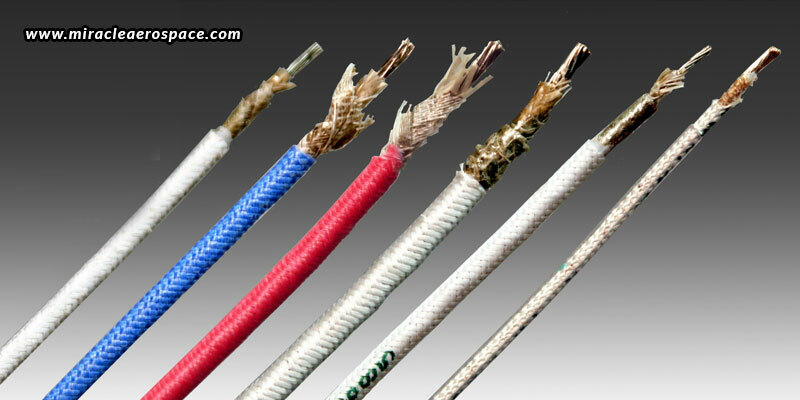 Whoever you choose to be your manufacturing partner, just remember never to choose a made-in-accordance-with cable. Always opt for true and genuine military specific cable assemblies when your application is a military one. Made in accordance with cables definitely meet the requirements, but they stop short of being perfectly military specific at some point. For example, the cable may have the required break strength, but it may not be able to meet the cycle test requirements.